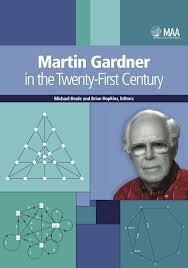 Those marked M on the right below are ones to which Martin himself contributed. 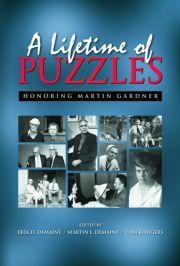 It was quietly assembled behind the scenes, with the assistance of Ron Graham and Don Knuth, as a surprise for Martin to mark his announced retirement from his Scientific American column, and was later republished as Mathematical Recreations: A Collection in Honor of Martin Gardner (Dover, 1998). 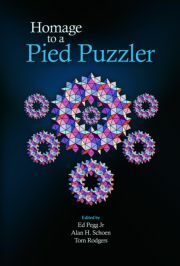 Contributors include de Bruijn, Coxeter, Eves, Golomb, Graham, Guy, Honsberger, Kim, Knuth, Schattschneider, and Sloane. 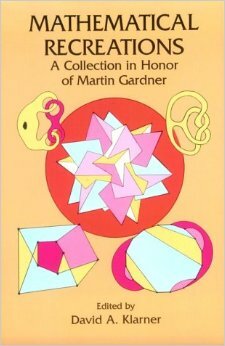 The first Gathering 4 Gardner tribute conference was held in Atlanta in 1993, and from 1996 on, they have taken place every two years, in the spring. Martin and his wife Charlotte attended the first two. 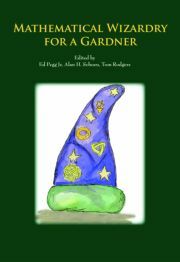 So far, there have been numerous spin-off tribute books, arising from presentations given at these meetings. 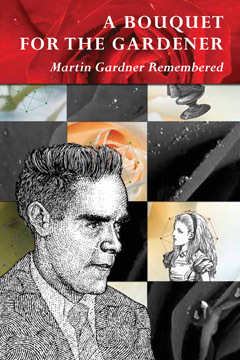 The most recent tribute book "collects the articles Gardner wrote for the MAA in the twenty-first century, together with other articles the MAA published from 1999 to 2012 that spring from and comment on his work." 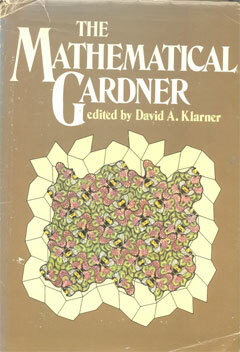 In fact, "Eight of Gardner's articles are presented here: together they represent his playful and engaging approach to recreational mathematics, and the breadth of his interests, spanning geometry, number theory, graph theory, probability, and pseudo-science."